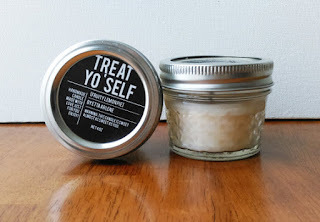 Were you just asking yourself "Self, what would a blogger who obsessively researches eco-friendly and made in America gifts want for Christmas?" Congratulations, you are the only one! What a special little snowflake you are! 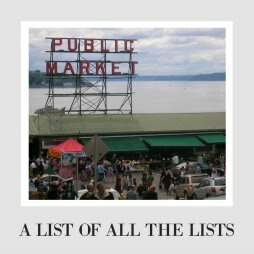 In all honesty, I made this list early on as a template for the first round of people I begged to give me Christmas lists, but I do think some of the ideas and finds are pretty cool, so I thought I would share at large while I research some of their lists! My list is a little all over the place, but maybe it will give you some ideas. More are coming soon so stay tuned! Random, right? Well, you asked for it. And by you, I mean the people who had no idea what I was trying to ask them for two months ago. Let's do this! 1. Mixing Bowls- Our nesting mixing bowls have started coming to untimely ends, and we have lost 2 of the bowls we need most. I am thinking maybe glass bowls with lids? 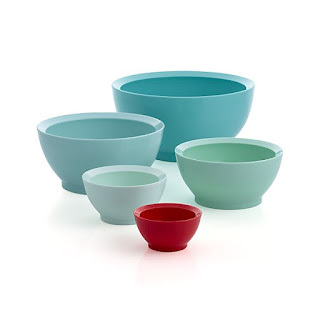 I can't make up my mind, because I really love this set from Calibowls, and I think their design, which curves in on the inside, might save my marriage from lots of strife (the Boy has perfect mis en place. I bake like a toddler). 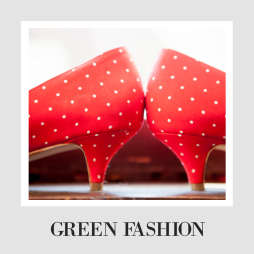 Also, they are really pretty, recycled, and no-slip! On the other hand, I think it might be nice to have some glass ones, and Anchor Hocking has a 10 piece set that looks great and Pyrex has a set that you can put lids on (and who doesn't love a lid?). Both are made in the US! It's nice to have three perfect options. 2. Rain Barrel- Darn El Nino has guaranteed Seattle a very dry summer, so I think it would be great to get a rain barrel so we can water our new plants next year, guilt free. You can even get them made of recycled plastic, so I feel like catching rain water for plants may be one of the eco-friendliest, lowest effort green practices out there. This one from Good Ideas has great reviews, and I think it looks much nicer/ more neutral than this model from them. I like this one made from a recycled olive shipping container, but this one and this one also look good! 3. Holiday Decorations- If you aren't sure what to get me, just buy holiday decorations. You can never go wrong with any seasonal decorations with me. I love them. This year, I have been mostly looking at stocking hangers. We don't have a mantle, and we mostly use command hooks to hold up our stockings, but they are so pretty, it would be nice to give them cute but not too flashy hangers. 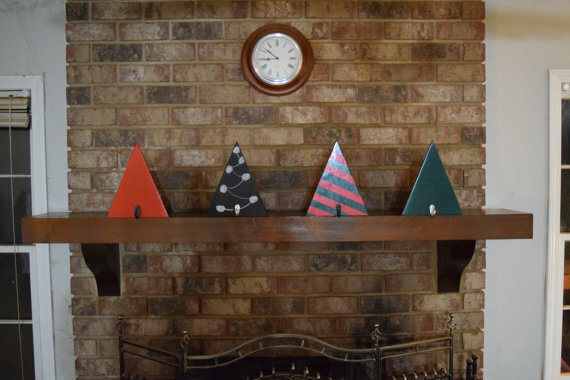 I think we will probably make some ourselves next year, but I do like these Christmas tree shaped ones from Blue Line Garage. I also like the little wood ones with silhouettes like these from Little Zebra Boutique and Hallie's Collectibles. I also like ones with chalkboard paint like these from Petal Whispers. 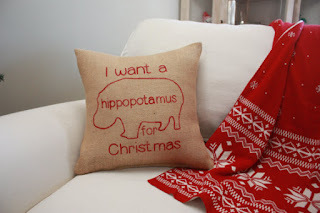 I love pillow covers as decorations, because they pack up easily and you can just use your regular pillows. Finally I found a pillow that summed up my feelings on life from He She Chic. This one from Dainty Damselfi is super cute and simple. I am currently trying candles from Eco Candles or Our Own Candle Company (specifically, things that smell like vanilla or cinnamon or any good thing I shouldn't eat) but it's a hard thing to splurge on. So, I would love it as a gift! 5. 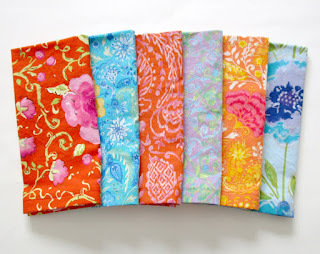 Cloth Napkins- We started using these for the baby, but now I think we could just always use cloth napkins while we eat at home. Plus, there are about a million cute ones. Clear Sky Home makes really beautiful napkin sets- I love the bright or mismatched ones, because I don't want anything that looks too stuffy for simple dinners at home. My other favorite Etsy stores for napkins are JAQS Studios and Oh Little Rabbit (which sells holiday themed ones!). 6. Pens- I am obsessed with these recycled plastic pens, and I am in desperate need of ones that my husband didn't "borrow" from his job. I think it's awesome that Pilot started putting plastic water bottles back to use, and I am hopeful that eventually, we will think of things like this as normal. 7. Sideways Cross Necklace- Maybe I am watching too much Jane the Virgin (impossible), but she wears the sweetest cross necklace. I love the twist, and I think it looks so pretty. 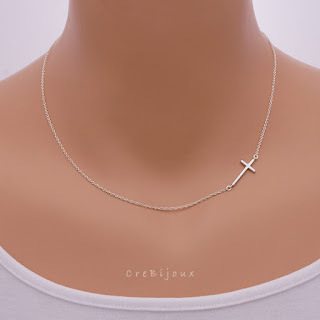 I found this dainty silver one from Cre Bijoux. that I think would be perfect (and the store also looks great on Etsy). Not quite right? You can find more options at Starling Design Shop, Donna B Jewelry, and Just for Fun Design. 8. 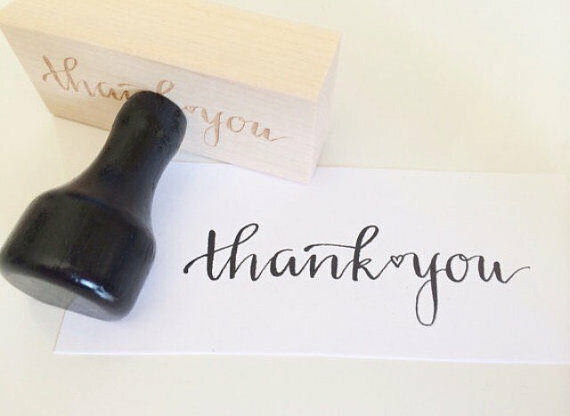 Thank you Stamp- I think you could get a pretty stamp and make your own thank you cards for a solid chunk of time, so I have been looking at stamps we could use. I love this stamp from Etsy, but this one from sugar and chic shop might be my favorite. This one and this one are great too! 9. Food Gift Cards- Ok, I know this is random, but stick with me. If you haven't heard, Seattle currently has a huge rash of homelessness (caused by the skyrocketing housing and effecting everyone from small children to the elderly), and we see someone homeless nearly every time we leave our house. I don't always have cash on hand to give, and it bums me out, so I would like to get simple 10-15 dollar gift cards to keep in my phone case (which doesn't hold change or many bills without dumping them out every time I text), but can carry 3 or 4 cards besides my ID). This way, I can keep something on hand to be more helpful when I can. It really is a huge problem here, and this is just a little band-aid (we are involved in helping other ways as well), but sometimes a little bandaid and some kind words can make a big difference in someone's life, and I would love to have more food cards so I can make this routine. Ok, these are my best ideas for gifts, maybe they will inspire you while shopping for someone you love! If you want more shopping inspiration, check out this list of shopping lists!